Operating from our Swindon base, we provide Stage Hire all over the UK and Europe. We offer the latest in Stage Design with our fleet of 6 stages. All of our stages can be hired on a daily basis or full weekend rates, and are ideal for Town Centre Concerts, Festivals, Corporate Events, Sporting Events, Firework Displays and Christmas Light Turn Ons. 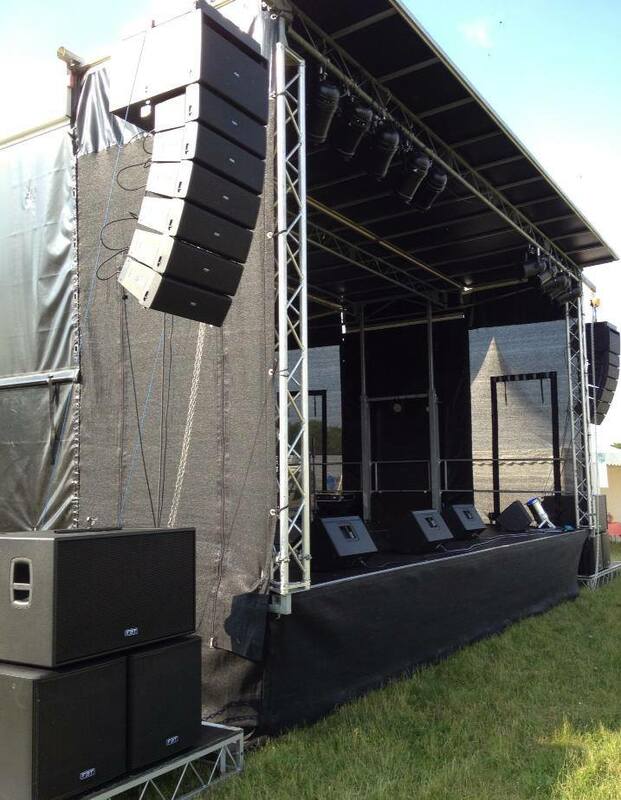 Summer Breeze Stage Hire can supply you with a complete package for your event. This can include PA systems from many of the top manufacturers such as Martin Audio, Nexo, TurboSound, D&B and EV along with digital mixing consoles from Soundcraft, Digico, Yamaha, Midas and Behringer. All microphones, di boxes, cables and stands would be included as a complete package along with stage power distribution and Sound Engineer. We can also supply stage hands and stage managers. Lighting can be as simple as a few LED par cans or as complex as your budget allows. We can tailor this to your needs and include Lighting Engineers too. We also offer generator hire, site power distribution and site electrician. 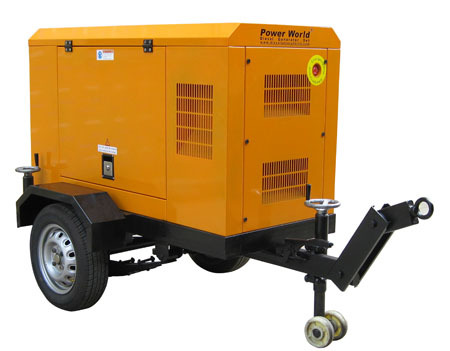 Generators start from 2 kva ranging through to 250 kva. Common choices are usually 8 kva for a small 200 people show, 20 kva for 500 people, 35 kva for 1000 people or 50 kva and above for larger shows. Of course this depends on how much sound and lighting is being used. We can include generator supervision and fuel monitoring and supply. This is an important factor in making your show successful and uninterrupted. 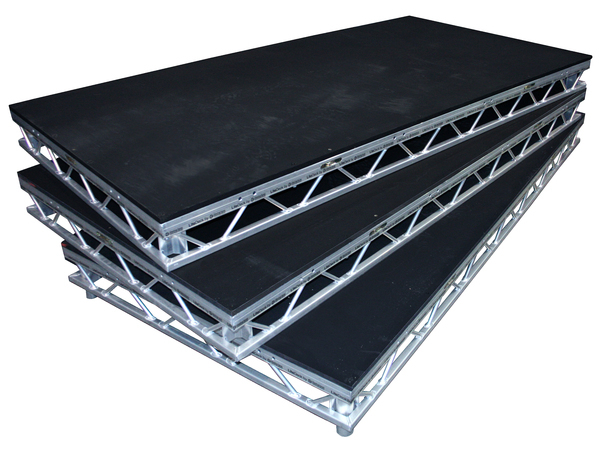 We are able to offer our customers stage ramps which can be used for easy stage access for loading and unloading, as well as disabled access too. Our professional team will fit this and ensure that everything is perfect to make your event even smoother. We are able to offer Litedeck Stage Panels to make your stage even better. These stage panels can be hired to extend your stage area, add risers for choir performances or other musicians, used to raise or level PA stacks or simply make a complete stage area to your venue. We can supply these dry hire or a complete system delivered and built on site to your requirements. We only supply these as an extra to a trailer-based stage. 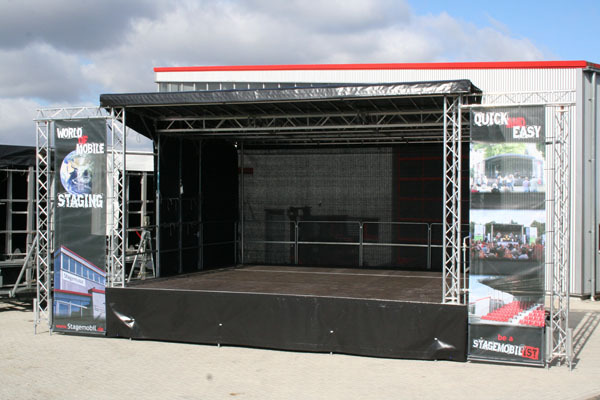 We do not supply panel built stages for indoor events. We are also able to provide you and your staff with a great Walkie Talkie system, perfect for communicating over long distances during the setup and running of your event.